Ms. Derzhavina was born in Moscow and started playing the piano at the age of 6. Studies were first at the Specialized Gnessins Moscow Music school, then at the Gnessins Russian Music Academy, where she also finished the post-graduate course. Her Professors were Yuri Polunin, Valeria Polunina and Vladimir Tropp. In 1989 she received the third prize and the special prize for performing the romantic piece at the VIII All-Russian Piano Competition, and in 1992 Ekaterina won the First Prize at the "J.S.Bach" International Piano Competition in Germany. From 1993 until 2006 she was teaching in the piano department of the Gnessins Russian Music Academy, then since 2003 has been a Professor at the Tchaikovsky Moscow State Conservatory, teaching in the Historical and Modern Performing Art faculty. Ekaterina Derzhavina has given concerts in Austria, Germany, France, Switzerland, United Kingdom, Slovakia, Finland, Canada, USA, New Zealand, Japan, Russia, Ukraine and Belarus. 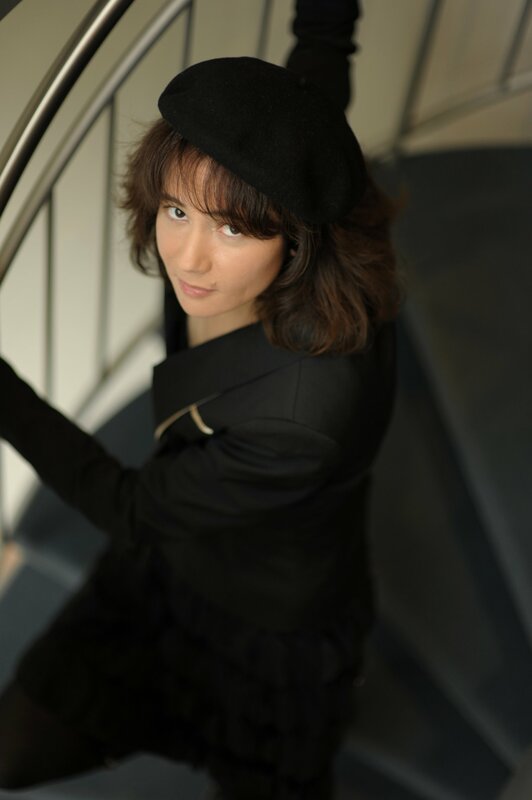 She's taken part in many festivals, including "Mosel Festwochen", "Thueringer Bach Wochen", "Rarities of Piano Music", "Russische Musik im Exil", "Oberstdorfer Musiksommer" in Germany; and also the international "La Folle Journée" Festivals in France and Japan, the Festival in La Roque d'Anthéron and "Pianoscope" in France, as well as the Akaroa Festival in New Zealand, International Festival of Lanaudiere in Canada, Bratislava Music Festival in Slovakia, and the Medtner-Festival in Russia - which she organized together with the pianist Boris Berezovsky. Ekaterina has appeared in such concert halls as the Great Hall of the Moscow Conservatory, Place des Arts in Montreal and many other renowned venues. She's given master-classes in Germany, Russia, the USA, Canada, Japan, United Kingdom and New Zealand. Her performances have been recorded on the radio of Moscow, Cologne (WDR), Saarbrücken (SR), Berlin (Deutschland Radio), and Montreal (Radio Canada). In 1996 Arte Nova Classics released her disc with Goldberg-variations by Bach, which received the 1999 "Choc du Monde de la Musique" award in Paris. Ekaterina's 2CD-set with the piano works by Nikolai Medtner (Phoenix Edition) received the French Diapason d'or award in January 2009. In February 2013 the German label "Profil" released her 9CD-set of the complete Piano Sonatas by Josef Haydn. This edition was nominated for ICMA in 2014 and has received "Choc de Classica" in 2016. The set of Bach works (2 CDs) that includes all French Suites, the French Overture and some other pieces came out at "Profil" in September 2015 and has got a lot of enthusiastic reviews, as well as CD with rarely played piano works by Alexey Stanchinsky (released in 2017) and complete works for violin and piano by Nikolai Medtner with Nikita Boriso-Glebsky (relesed in 2018).